Braum’s ‘Fresh Market’ offers over 30 fresh meat items! 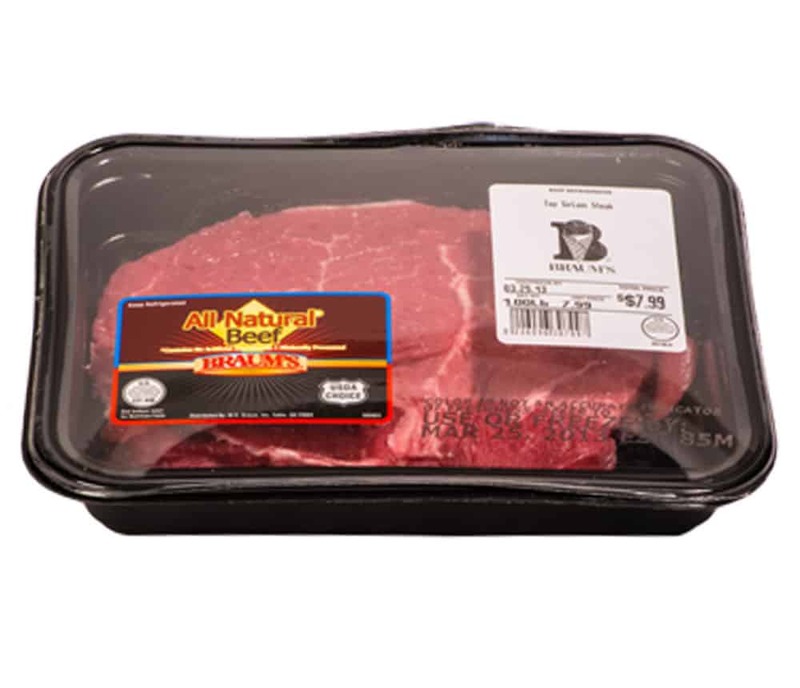 We offer USDA inspected choice beef featuring Rib Eye, New York Strip, T-bones, Top Sirloin, Top Round, Boneless Cube Steak, and Round Roast. We also offer a variety of smoked sausages, chicken breast and chicken fajita meat, chicken salad, tuna salad, beef fajita meat, barbeque brisket, ham, pork chops and more! And, because we deliver fresh product to our stores every 48 hours, we are able to provide our customers with the best tasting, highest quality, freshest meats around. Here’s another reason to stop by your neighborhood Braum’s…it’s so convenient! In addition to our large selection of fresh meats, we’ve got dairy, bakery, and over 60 fresh fruits and vegetables -it’s one-stop shopping! Come to see all of the wonderful products we have to offer!